Cold Fusion Community is an activity of Infusion Institute, Inc. Membership here is open. However, signups using “email providers” that are attempts to avoid providing a valid email may be deleted without notice. Examples: mailcatch.com, spamavert.com. The weasel is our mascot or totem. The inspiration was from what Dewey Weaver has been called, as if “weasel” is Bad. 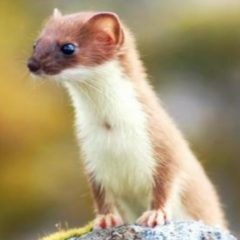 I (Abd) think weasels are amazing animals. Just look at him! See Zoology, for a collection of amazing animals. [redacted] here from Australia. Could I communicate to you about Rossie? I responded by email. That Rossi was mispelled is a bad sign, but I will generally respond to requests for communication, and comments here are a good way to leave an email address, and I see all comments rather promptly. Because I do not actually know that this person is who he claimed to be, I have redacted the name. I will commonly do that with requests for personal communication, and definitely with non-disruptive requests for confidentiality. Just ask for it! Trolls, however, will be skewered and served to the rats, or whatever.